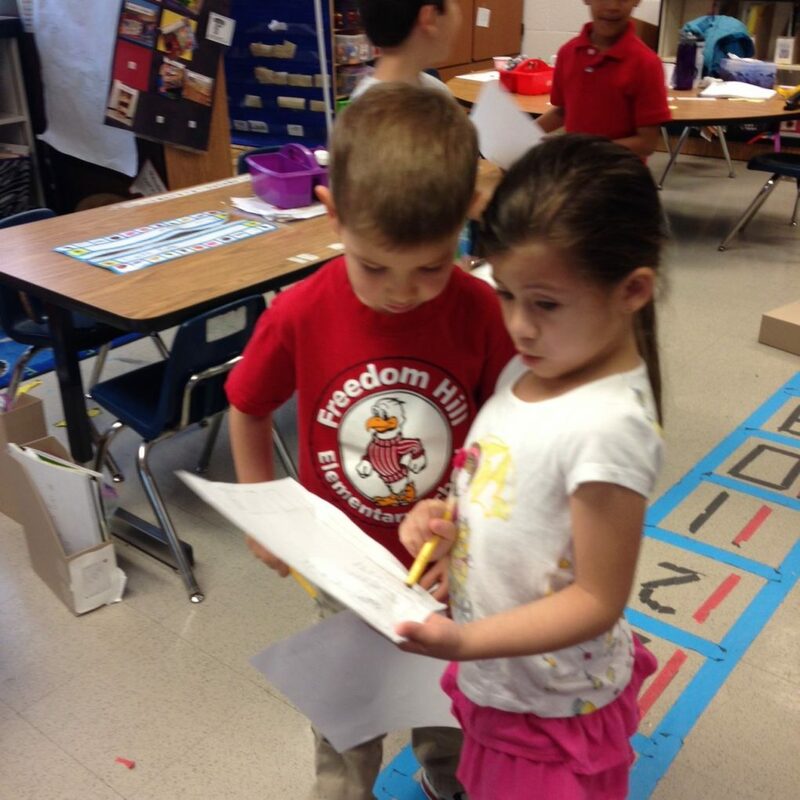 Blog by Ms. Wilcock, kindergarten teacher: We are learning how to make our own graph. We are collecting data and recording it using tally marks. 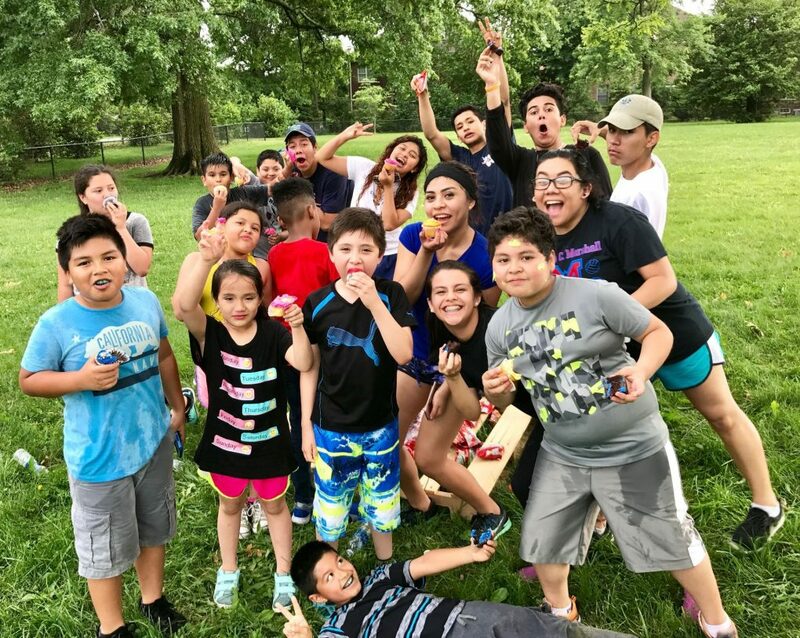 Young Scholars Overjoyed at Elephant Garlic Discovery! 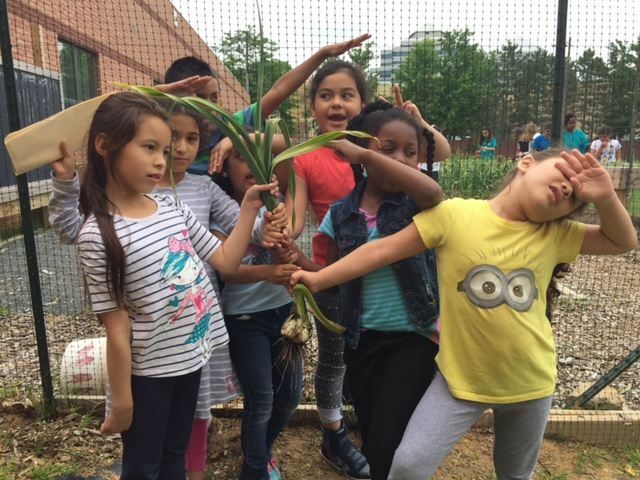 Blog by Mr. Misch: The first and second grade Young Scholars found elephant garlic in the garden today. It was so fragrant we became very dramatic! 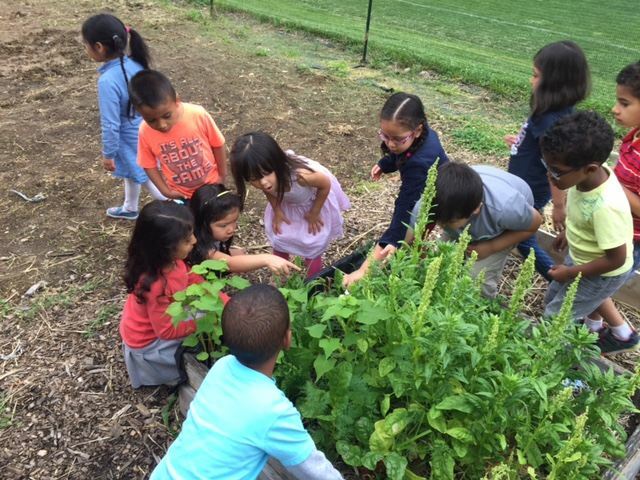 Head Start Visits the School Garden! Blog by Mr. Misch: Look who came to visit the garden this afternoon, Mrs. Gutenson’s Headstart class. The children found caterpillars, radishes, peas, spinach, and elephant garlic. 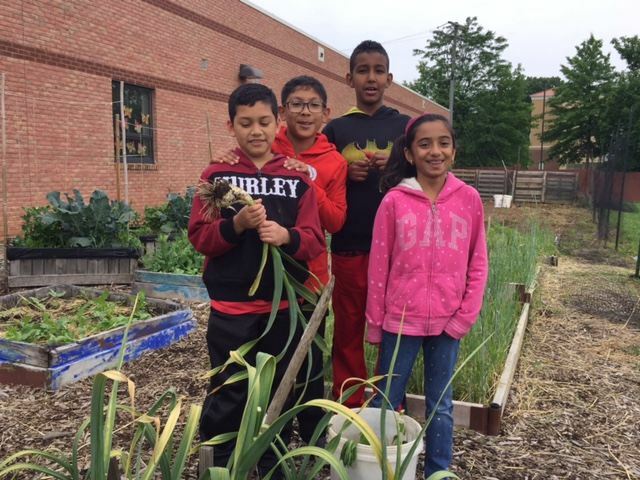 4th Graders Show Off Elephant Garlic Harvest! Blog by Mr. Misch: The elephant garlic harvest has begun! Fourth graders proudly display the first bulb. It is enormous and very aromatic. The product of almost six months of growth as they were planted in late October. Marshall HS Leadership Class Students Mentor at FHES! 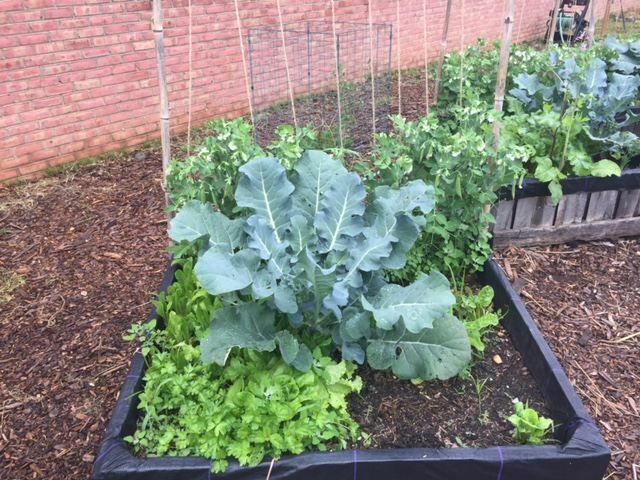 Blog by Mr. Misch: The broccoli plants in the garden are very large, and the first flowers appeared over the weekend. It is time to find some good broccoli recipes. The sugar snaps are now almost as tall as the kindergartners! 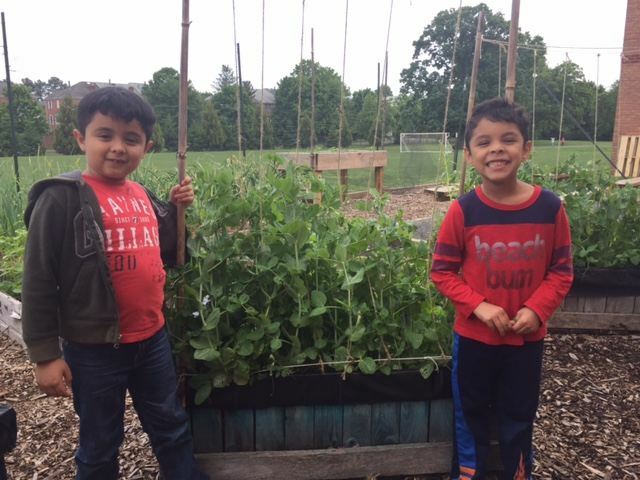 Blog by Mr. Misch: The sugar snaps are now almost as tall as the kindergartners! Those peas sure are delicious. 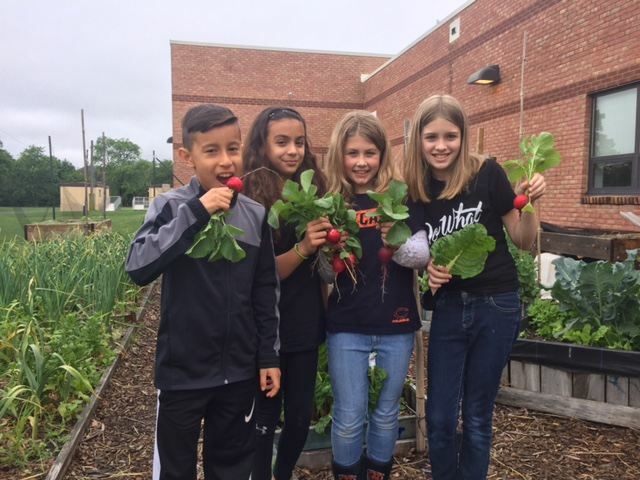 Blog by Mr. Misch: Fifth graders help to harvest some of the enormous and delicious Easter egg radishes. 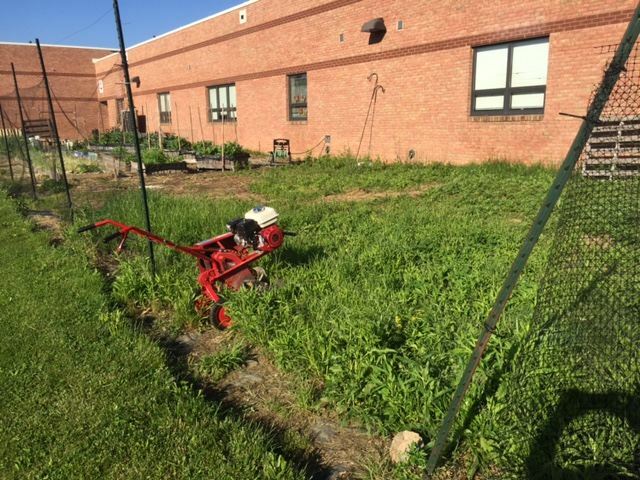 Mr. Misch – Our Master Tiller! Mr. Misch, our Advanced Academic Resource Teacher and STEM Lab Coordinator, puts his heart and soul into our school garden. Take a look at his work to prepare an additional portion of the garden for our expansion!